Ahhhhhhhhhh yes, Attack on Titan. For the briefest period of time it was Japan's biggest anime and manga property, and while its flame burned quickly (compared to the likes of One Piece and Dragonball, which manage to still pull a huge following 20,000 episodes in), the franchise certainly had an impact. Koei Tecmo's first attempt at a game set in this franchise, 2016's A.O.T. Wings Of Freedom, was quality. Raw at times, but a good take on a franchise that can't be easy to convert into a video game. 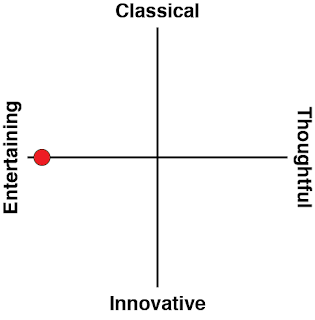 The good news is that A.O.T. 2 refines everything that needed refining. Actually, this is one very impressive anime tie-in, offering smooth (and fundamentally different) action, slick cinematic production values, and a fun spin on the narrative. 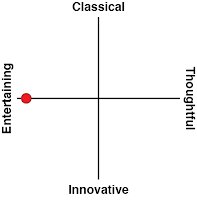 I'm very impressed with it indeed. 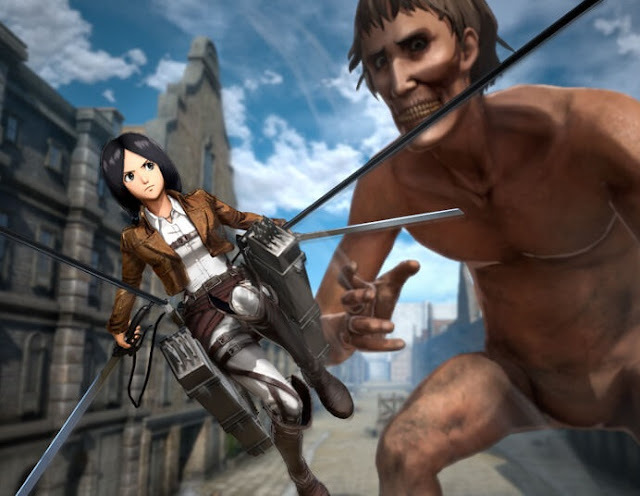 Because Attack on Titan has a set narrative, the writers could have been hampered by a reliance on letting players work through the exact storylines of the main characters. But, no, Koei's team found a clever way around that by casting you in the role of, effectively, a nobody; an extra to the main cast. 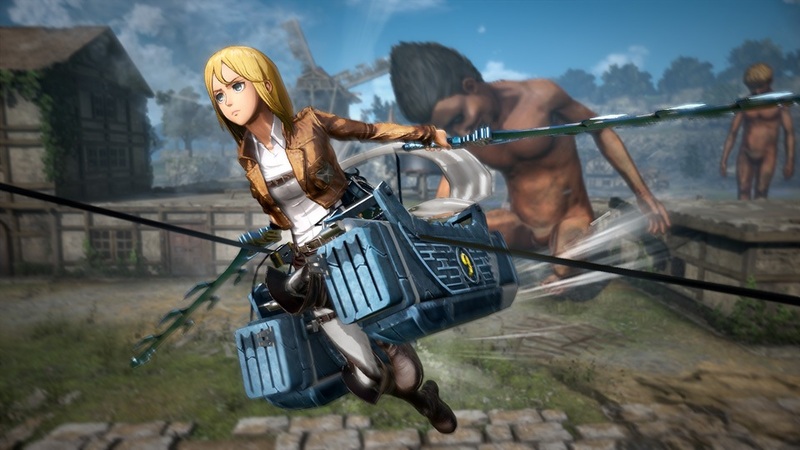 Just as the anime starts out with Eren and his gang signing up to the military academy to learn how to fight titans, so too does your avatar in A.O.T 2, who you can create and name as you will. He or she goes out on a couple of training missions, and then at graduation is struck with the news that, unlike all the "named" characters from the anime, he or she wasn't in the critical top 10 ranking, and is relegated to being a mere big part in the unfolding story. While this might not sound particularly inspiring character to be playing, being pushed into the role of someone who's often an observer allowed Koei to do some creative things in expanding the narrative threads that spin around the main plot. For example, early on in the story, as Eren climbs the giant wall protecting humanity from the titans to take on the colossal titan (fans of the anime will know what I'm talking about), your squad of nobodies is instead tasked with keeping the the breach in the wall clear after that colossal titan kicks a hole in it. 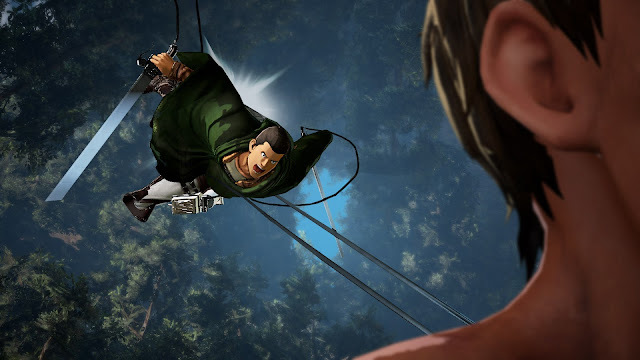 As Eren tramples around in titan form, you get to tackle any titans that aren't facing his wrath, but in the background you'll be watching him launch his foes sky high. In other words, Koei has found a way to tell new stories of the exploits of characters who work in tandem with the anime's cast, but are not beholden to follow in their exact footsteps. It's an impressive way to build on the media property, and it's one that I think Attack on Titan fans will appreciate. The only slight flaw in the armour is the narrator, who will refer to your avatar as a "he" whether you choose a male or female character. It is quite incredible to me that the developer would go to all the effort to allow you to field a female protagonist (and the character editor is not a limited one by any means), and then only record one voice track, assuming that the character chosen will be male. A.O.T. 2 is as lavish as any Koei Tecmo game, so this omission, as minor as it is (because the narrator doesn't have so many lines), is layer after layer of oddness. Sweet Miku does the game play well, though. Anyone familiar with the Attack on Titan franchise will know that titans have one particular weakness; a spot at the back of their neck. Because these are giants we're talking about, reaching the back of the neck by foot isn't feasible. Instead, humanity has created what can only be called mechanical Spider Man costumes that allow them to fly through the air by grappling off buildings, and then spear a titan in the body, swing around, and slash at their neck. All of this action from the anime is present in A.O.T. 2, and all of it works well. Soaring through the air to zip across a city to quickly get to were the titans are attacking offers the most incredible sense of speed. Actually doing battle with the titans is dynamic and exciting. On the easiest difficulty level you'll be able to directly swing around to get to their weak spot, but on higher difficulty levels you'll also need to strategically target parts of the titan's body to incapacitate them before you'll have an opening at the neck. At first the controls required to so all of this can feel overwhelming. There aren't many action games that play like this, so learning it all takes a bit of work. Thankfully the two tutorial missions do give you plenty of practice. And from there it all simply feels great. There's a lot of gore that adds a visceral, adult edge to the combat, and when it's at its best (which is frequently), battles feel frantic, furious, and yet also quite graceful; there's a certain elegance in timing an attack run just right to lop a titan's leg off, or nailing a critical hit to the neck. There's only really two areas that let the game's action down; the first is the AI, with the titans tending to get themselves stick in odd positions in and around buildings, or bunching badly in groups. In can be difficult to deal with a titan when it's stuck in a nook, because the combat system assumes you've got 360 degrees of movement available to you. It can also be frustrating to tackle groups of titans at a time, as their attacks tend to flow continuously, making it hard to counter, and actually selecting the right titan (and limb) to aim at in that mass of giant flesh is a pain. But this is all made up for by the impressive boss battles, which are adequately dramatic and difficult, and provide a great sense of satisfaction when defeated. Because your hero is only a minor player, you'll also be responsible for setting up supply depots and defence cannons around battlefields (this isn't explained through the narrative, but I can't imagine Eren bothering to set up a supply tower, and someone's got to do it, so contextually it makes sense that it's a task your protagonist would be involved in). In practice this mechanic works like a light tower defence sub-game, and allows you to strategically place towers around the place to ensure that characters always remain well-resources, and the titan's ability to attack critical targets is slowed down. I love this feature, and while you won't need to engage with it too deeply on the lower difficulty levels, by the time you're on hard, clever use of towers is the difference between success and a failed mission. A.O.T. 2 does a great job of capturing the pseudo-baroque European setting of the anime. Environments are simple, but expansive in scope, and characters don't lack for detail. Between missions you'll have the opportunity to get to know characters better, with a basic "relationships" system which does a nice job of adding some personality to the game and the dynamics between characters, though in fairness Koei was working with generally weak material there, as Attack on Titan isn't really known as a character study. This is a strong, strong game by Koei Tecmo, and does the Attack on Titan franchise a great service. Sadly, that's a franchise that doesn't have the pulling power that it did a few years ago, but older fans will enjoy the opportunity to get a new look at the distinctive setting and world, and who knows? The game might just find one or two new fans for the bloody, brutal, but ultimately dazzling franchise.